Our open and airy layouts provide space to relax and unwind. The Stahlman Building apartments offer residents a unique and unforgettable Nashville living experience that's not easily found anywhere else. Our Nashville apartments are located in a 12 story, century-old building is rich in history, character and charm. When staying in one of our apartments in Downtown Nashville you will experience features like high ceilings, original hardwood flooring, exposed duct work and panoramic views. Be immersed in history while residing in the thriving urban environment of Downtown Nashville.  Make The Stahlman apartments in Downtown Nashville your choice for your new apartment home. Our luxurious apartments for rent encompass gorgeous amenities, exquisite community and a premium location which will be met by our helpful community staff to ensure your Nashville apartment living experience is unmatched. Schedule a private tour to discover your new apartment home at The Stahlman Apartments in Downtown Nashville , TN.